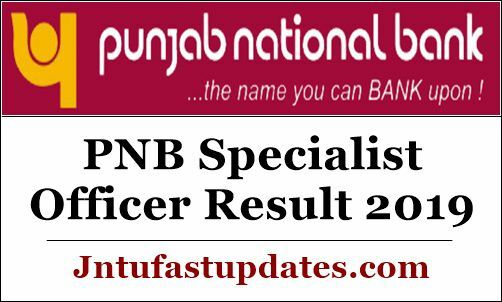 PNB Specialist Officer Result 2019: Punjab National Bank (PNB) conducted the specialist officer, manager, and senior manager written test on 24th March. Many of the competitors aiming to get bank jobs and having suitable educational qualification have competed for the PNB Written test as per the scheduled date and timings. This examination has been conducted in a large number of examination centers across the Nation. Almost 80% of applicants have appeared for the PNB Specialist Officer written test this time. The PNB has made accessible of the specialist officer answer keys soon after the exam completed. Aspirants came across the written test round can download PNB SO Answer key 2019 for all sets (set a, set b, set c, and set d) and compare with the attempted set to estimate the probable score. The answer key download links will be made accessible on the PNB Website. By tapping on the link, the answer key gets downloaded in PDF format. Candidates need to wait a few more days to check the result of PNB Specialist Officer Exam. Soon, the Punjab National Bank will announce the Specialist Officer Result date on its website, pnbindia.in. Keep checking the PNB Official Website on a frequent basis to check the result. Punjab National Bank (PNB) recently advertised 325 posts to hire suitable aspirants into various posts. PNB announced Specialist Officer (Senior Manager (Credit), Manager (Credit), Senior Manager (Law), Manager (Law), Manager (HRD), Officer (IT)) Jobs. Many of the hopefuls wishing to get bank jobs and having suitable eligibility have applied for PNB Posts during the application dates. PNB received a large number of applications from across the nation. Screening of aspirants will be done through written test and interview rounds. Candidates have to perform well in both the rounds to get shortlisted for the announced posts. Candidates finally shortlisted for the PNB Specialist officer and other posts will get a good pay scale and intensives as per the norms. All the candidates who have appeared for the specialist officer examination can expect the result in the month of April. Usually, the Punjab National Bank will release the results in 3 to 4 weeks after the examination. Hence the competitors can expect the result in the last week of April. Stay checking the PNB website, pnbindia.in to check the update regarding the result date. Soon the PNB will announce the result date on its official website. The Punjab National Bank will announce the cutoff marks depending upon various factors such as announced posts, the number of competitors clashed for the exam, and other factors. The PNB SO Cutoff marks category-wise, section-wise will be announced. Upon scoring the required cutoff marks candidates will be shortlisted for the next rounds of selection process. On the homepage, the Specialist Officer result link will appear on the screen. Click on the link and enter the necessary details. PNB Specialist Officer Result, cutoff marks, and the merit list will be displayed on the screen.